Plumbing, Heating, AC, Electrical Service Business: Is this Customer Care and Service? Is this Customer Care and Service? This week my wife, Lynn, was in the hospital for elective surgery to have a hip joint replaced. Although there is a lot of talk about customer service over the air waves from many of the hospitals, our experience did not show the level of customer service that is expected by the public today. The average HVAC/plumbing contractor has much better customer service than we found in our experience. I will not name the hospital but it is a major player in the Metro Detroit area. 1. Lynn would hit the call button to ask for additional pain medications and she would often wait more than 40 minutes for someone to respond. It would often be the nurse assistance who would then need to find the nurse to administer the medication. This was not a life threating situation but very disappointing. 2. After surgery and being transferred to her room, she had three separate people check her oxygen level within 15 minutes and none of these people were aware that she had just had it done. The right not knowing what the left was doing. 3. I went down to the pharmacy to fill a take home prescription for Lynn. They took it and told me they would call be on my cell in about a half hour when it was ready since we were waiting for it to be discharged. Over an hour later and no call, I went down to the pharmacy to check on the prescription. It was ready but they never called as promised. 4. A nurse assistant was walking the halls on the floor of Lynn’s room, looking confused. They had changed his room assignments but did not provide him with sufficient information to effectively do his job. 5. Lynn often heard the staff speaking to each other saying they didn’t know the answer because they were just getting on shift or it was someone else’s responsibility. 6. We finished all the discharge paperwork but getting a wheelchair and staff member to handle it so Lynn could be wheeled to our waiting car took over 90 minutes with several calls. 7. During this wait, an orderly came to Lynn’s room to take her to physical therapy. That department was not aware that she was discharged and just awaiting a wheelchair to take her to the waiting car. The preoperative situation and the surgical waiting area were run effectively. 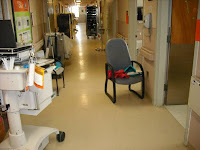 None of the staff were rude or a problem throughout the hospital stay. The level of treatment for the patient and the condition of the facilities were not the issues. The problem seemed to be at the patient floor level. Here the staff tried to meet the patient needs but management had not provided the tools to do it with true customer care and service. 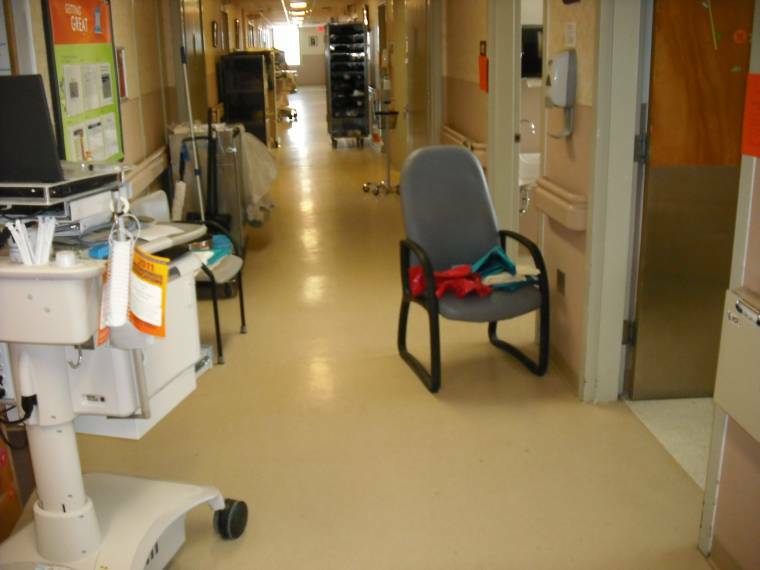 The entire floor where Lynn was recovering was orthopedic patients. The care needed for the patients would be similar day in and day out. Some patients would require more care, have special needs, or require additional time from the staff. Not a whole lot different that our businesses. With effective training, proper staffing, correct tools, and regular oversight this floor could provide much better customer service. Records here are all computerized and information should be available to every department and every care giver. Tasks are repeated day in and day out. A routine and detailed operating formula could be established, taught and monitored.